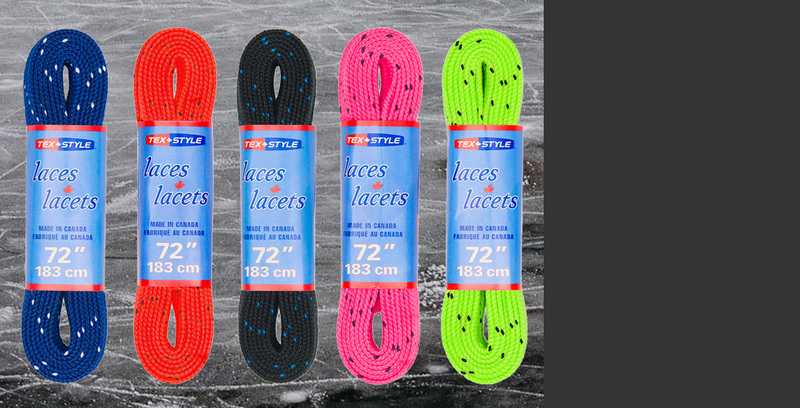 All our hockey skate laces are made from a blend of high tenacity polyester yarns and offer an exceptionally soft feel and a high tensile strength. They are colourfast, mildew resistant, and 100% Canadian made in our Toronto factory. 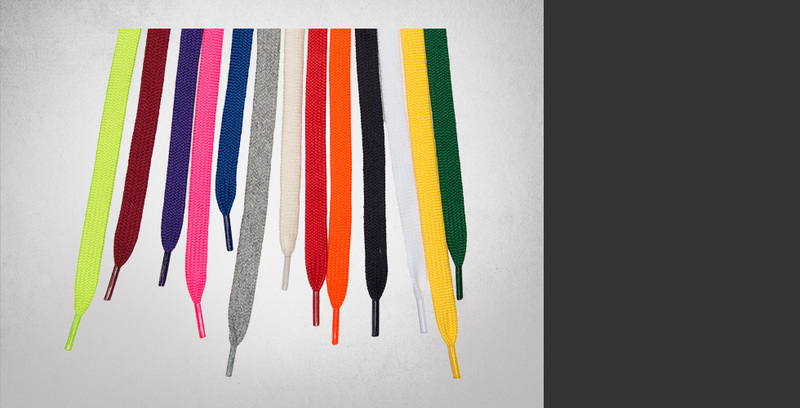 We offer 8 different colours of waxed speed skate laces – all with a single stripe and plastic tip. 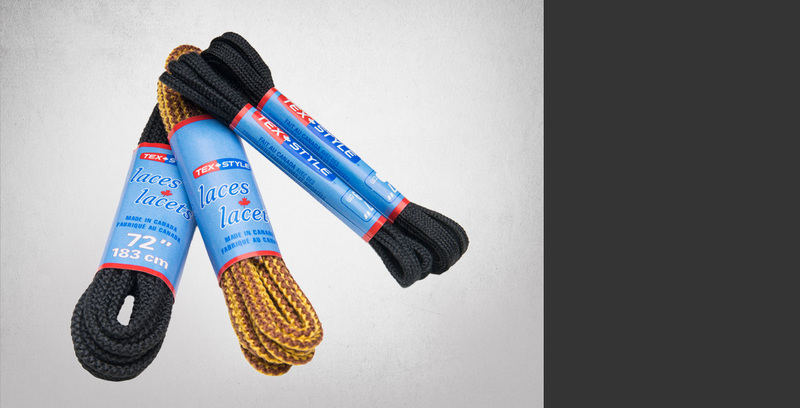 We offer an assortment of plastic tipped dress shoe laces and sport shoe laces and an assortment of round boot laces equipped with a durable fused tip. Available in cotton or polyester, we manufacture several styles of flat and round garment drawcords. Garment lacing is cut to order in your chosen length or is available (uncut) on spools. We stock black elastic bungee cords in a variety of diameters. 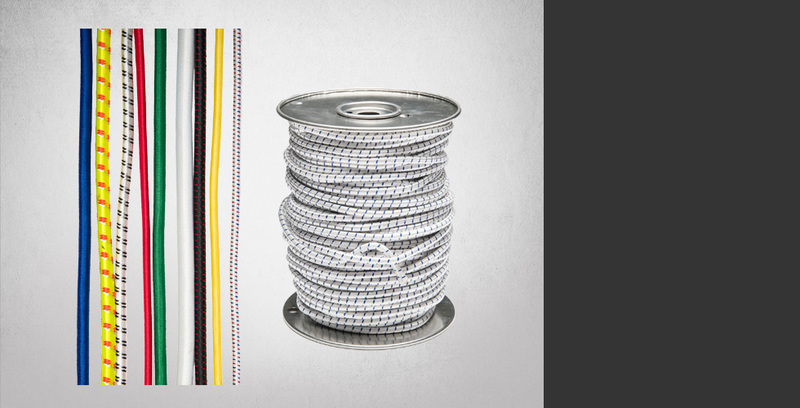 Elastic bungee cords are available factory direct and are sold by the spool. Elastic bungee cords are also available in any of the polyester colours. Textile Manufacturing Company Ltd. is a braiding and knitting company located in Toronto, Ontario Canada. 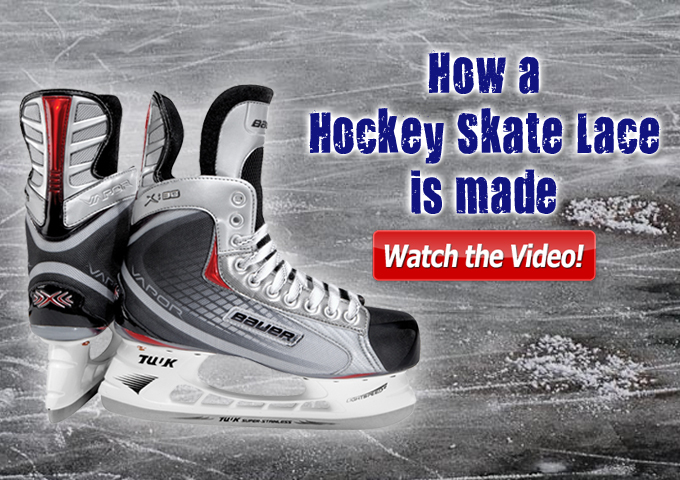 Since 1915 we have been supplying garment, shoe, and sporting goods manufacturers with hockey skate laces, waxed speed skate laces, shoe & boot laces, garment drawcords and elastic bungee cords manufactured in our 22,000 sq ft. production facility . 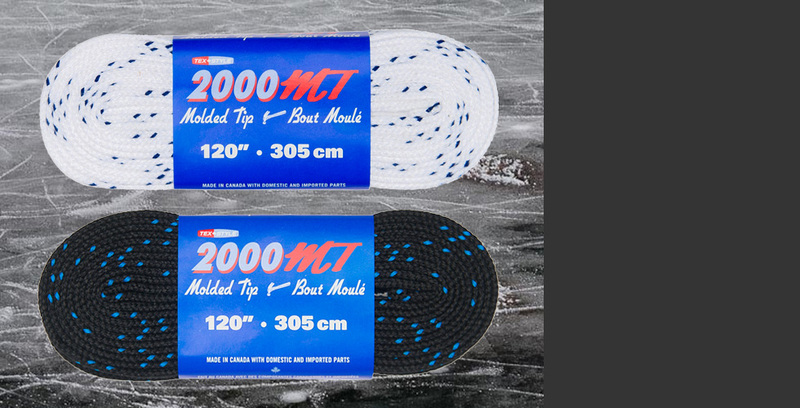 Our packaged lacing for retail sale is sold primarily through a distributor network. With over 100 years of manufacturing excellence, Textile Manufacturing Company Ltd. understands what is important to its customers: innovative first quality products, exceptional service, timely delivery, and competitive pricing.